It was another joyous moment for Response Network as they were again visited by “Home of the Young Professionals”, Academic Work of Sweden. The team which arrived in Zambia on the 19th of March, 2014 had one but solid mission of familiarizing themselves with some of projects that they were supporting and also meet the sponsored girls popularly known as the “Kubala girls”. 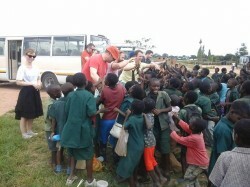 The one week visit was a fully parked program with interesting activities. Firstly, the eleven (11) member team visited Choma Airport Community School where a 1 by 2 classroom block with an office has been completed because of their support. AW works in many countries, so Finland, Norway and Germany were represented. 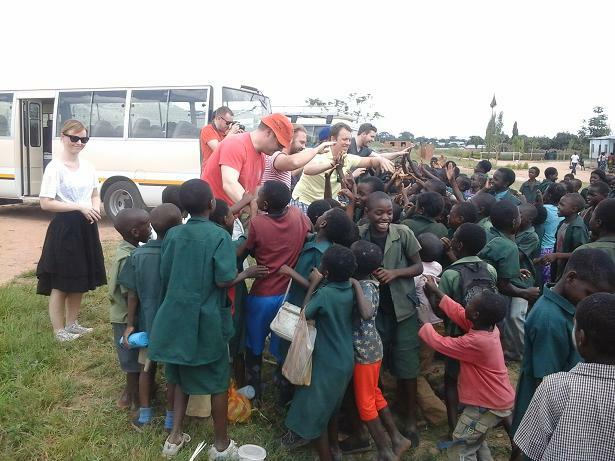 Apart from Choma Airport Community School being a hive of activities, the team moved to Tusime Community School in Kazungula district where Response Network has managed to put up a 1 by 1 classroom block with an office. 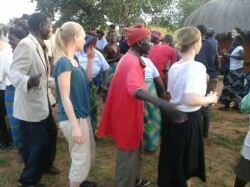 It was at Tusime where the visitors spent a night and were treated to a variety of traditional dances. The tempting, soothing and calming traditional music could not resist the temptation of joining in the dance by Academic work staff. They also stayed with village families and got an experience of their way of life, i.e. collecting water, farming, and taking part in everyday life.